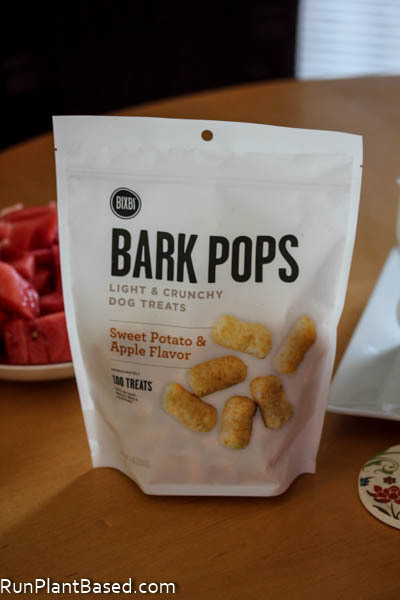 While at Barktoberfest on Sunday, I scored freebie bags of Bixbi Sweet Potato & Apple Flavor Bark Pops and have never heard of these before. I was surprised to find this flavor is plant based with a not-so-scary ingredient list. They’re like puffy, crunchy snack puffs for dogs. And Miko is a fan, both the pups like them, but he is obsessed with them. 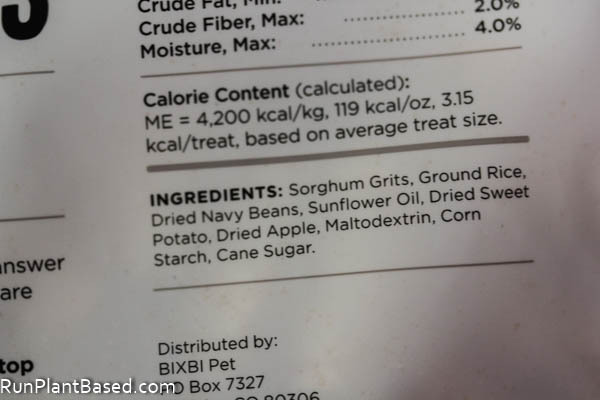 Ingredients in most pet foods scare me, especially the cheaper stuff and I would rather give them V-Dog food and treats mixed with whole, human-grade plant foods with ingredients safe for dogs. These treats say they use human-grade ingredients too which is awesome, always nice having more healthy, plant-based options to mix it up for them. I’m trying to focus on healthier foods this week as we creep into colder weather and less running miles which inspired this wonderful, fall/winter rosemary dressing with a warming, golden color and creamy texture. It packs raw tahini, miso paste, raw garlic, and chia seeds for hearty thickness, but is mostly carrot based and loaded with plenty of flavor. 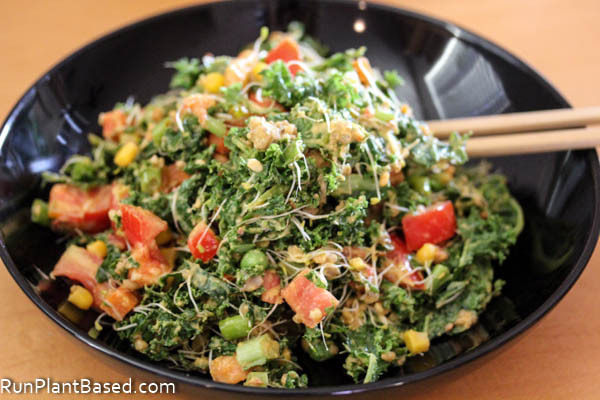 The color and texture sing hearty meal salad to me and especially with chopped veggie burger in this salad. 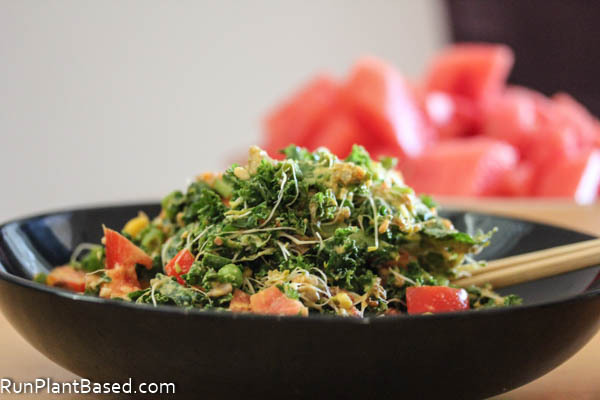 I coated a massaged kale salad with sprouts, seeds, and green onions for a filling meal. That hit the spot with vibrant flavors and colors. 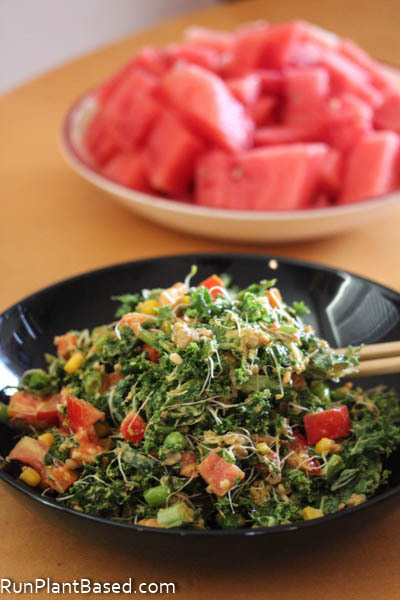 There is such a thing as a comforting cooler weather salad. That dressing sounds so good! I’m totally going to have to try it out soon. Thanks and yes, it’s perfect for a warming comfort dressing. Those treats sound neat! I’ll keep my eye out! I know our pups would go nuts for them, too! 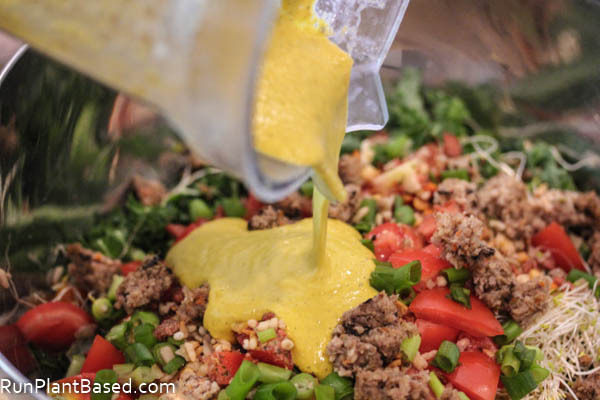 Your sauce/dressing looks soooo good as well! Thanks and Leela is obsessed with those treat now too. Oh! BTW…how far from the fires are you!? Been thinking about ya! Stay safe!! I need to find those Bark Pops. I think my pups would like them too. Some treats have really questionable ingredients. Agreed, there is a documentary on Netflix about how awful the pet food industry is and I’ve been afraid to watch it. Oh dear, I hope your sweet pup is okay! That is so stressful and so sorry! Very true, I was tempted to sample them! 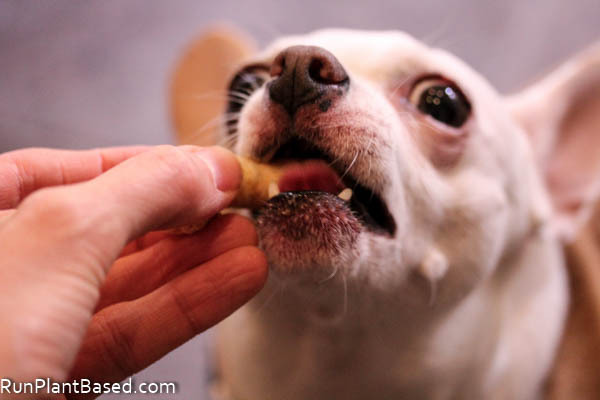 Those dog treats look good enough for humans! Ha! I can see why Miko enjoys them. That salad looks incredible. Rosemary is my favorite herb, especially when the temperatures cool down. I’m definitely going to make this. So true and the site says they’re human grade ingredients, haha. Thanks on the salad, rosemary is such a warming fall/winter herb.